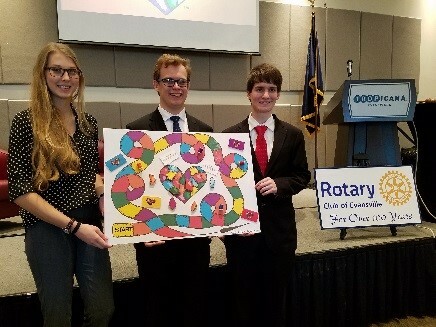 UE High School Changemaker Challenge winners, Mater Dei students Michaela Kunkler, Austin Bowen, and Noah Harrison, present their idea to the Rotary Club of Evansville. 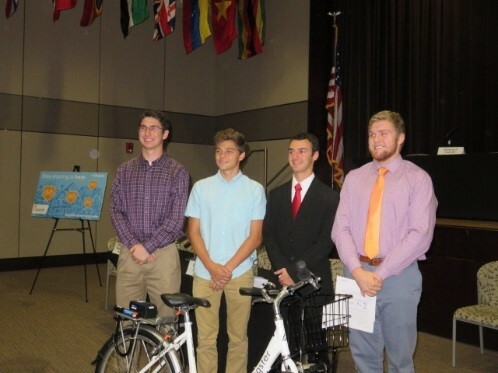 UE and Central High School students at Bike Share press conference. 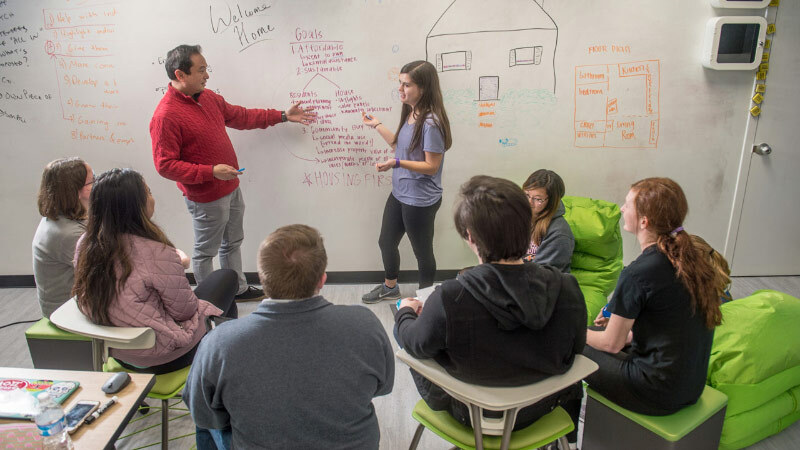 These students were members of the Changemaker Challenge and ChangeLab teams that helped drive the creation of the Bike Share project in Evansville. 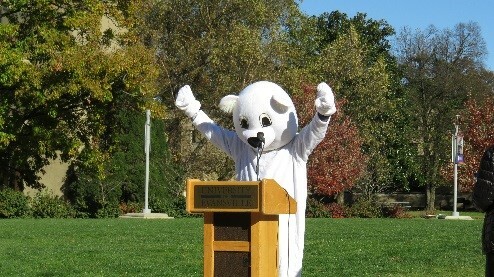 Former UE president Tom Kazee dressed as a polar bear after the Alternative Energy ChangeLab team initiated a program that saved electricity for the University. 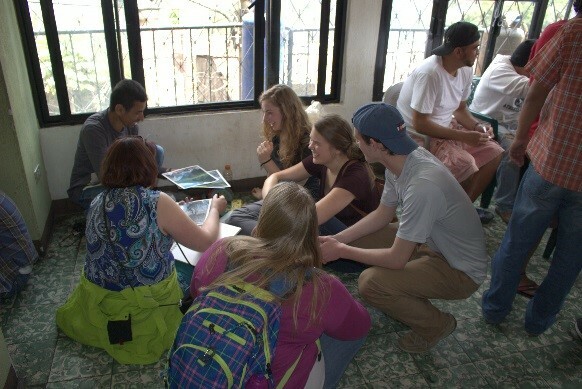 Mission Guatemala ChangeLab team works with Guatemalan locals on the creation of handmade cards to help sustain a substance abuse treatment center.